So often lost in the daily drums of life, but I’m learning to be more grateful. Occasionally I will sit for just 5-10 minutes and write a gratitude list. It can be eye-opening, and is so very simple. A great way to start, or end a day as it completely changes perspective. Today, I am so grateful and humbled by the amazing family I have. 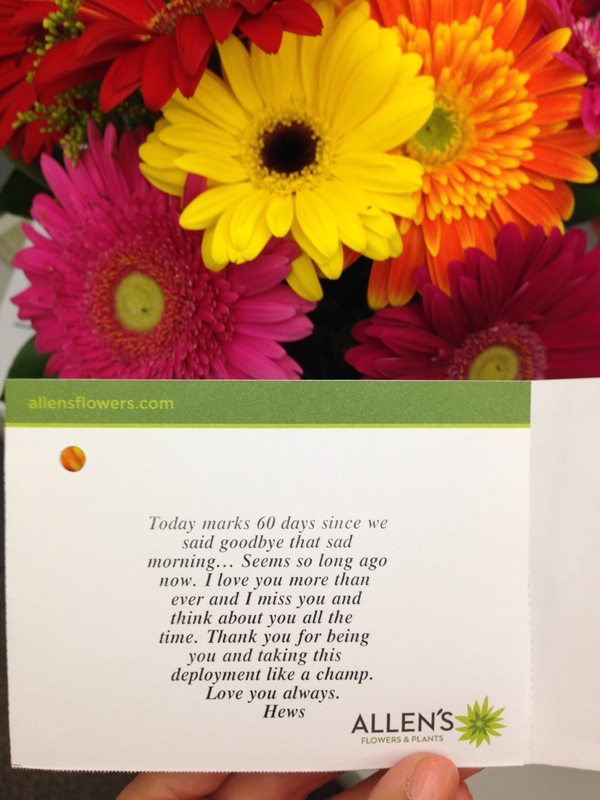 My husband and I celebrate 60 days into this deployment we’re in, and he remembered this and sent me the most gorgeous bouquet of gerbera daisies I have ever seen, with the most beautifully written card. 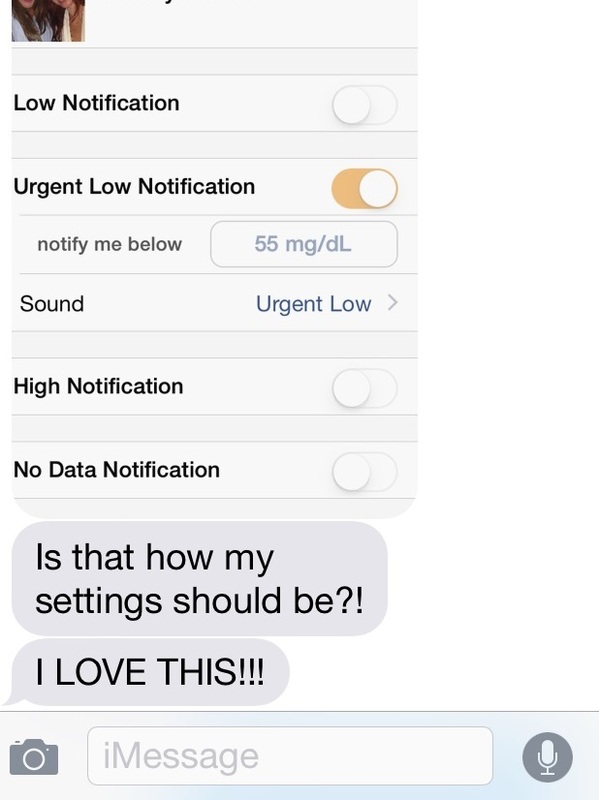 In addition to that, and to add an extra layer of safety with type 1 diabetes while he is deployed, I went live with the new FDA approved Dexcom Share system, and my sister (in Iowa! 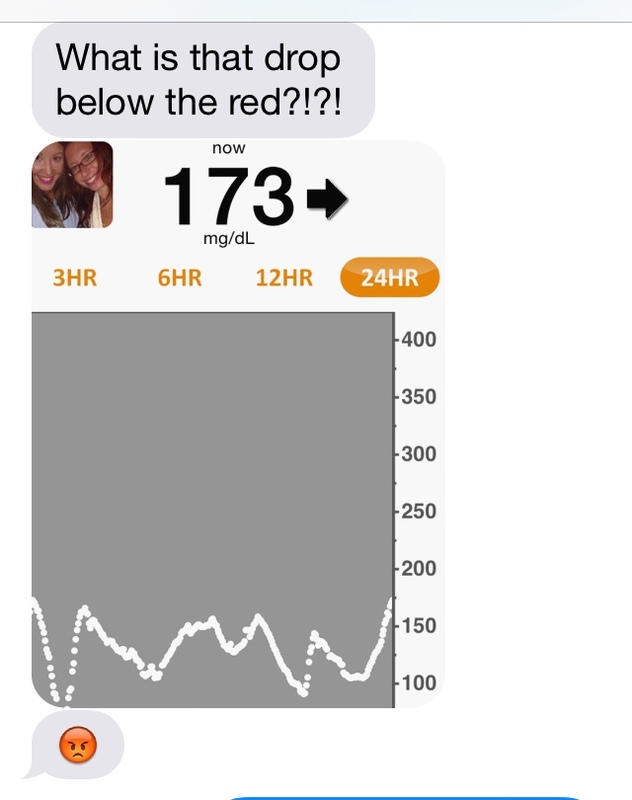 ), willingly signed on to receive my blood sugars live, from the cloud right on her iPhone. This entry was posted in Diabetes, Life and tagged Family, Grateful, Gratitude, Love, Thankful by livinglikelinds. Bookmark the permalink. Great feature but I would definately become addicted IF I had an I-phone. But I do ask your sister sometimes what your BS is, LOL.